Call centers have more frequent communication with clients compared to other roles in an industry. Every call made and received counts. May it be resolving a complaint, taking orders or up-selling products, these are important aspects in reaching business goals. For big offices with many operators and telemarketers, IP Phones can be connected to 401 IP PBX for the best quality. However, settings in 401 IP PBX must be configured correctly in order to record call data automatically in VoIP Call Center CRM. Incoming call from a customer received by an employee in Office A via IP Phone (connected to IP PBX). 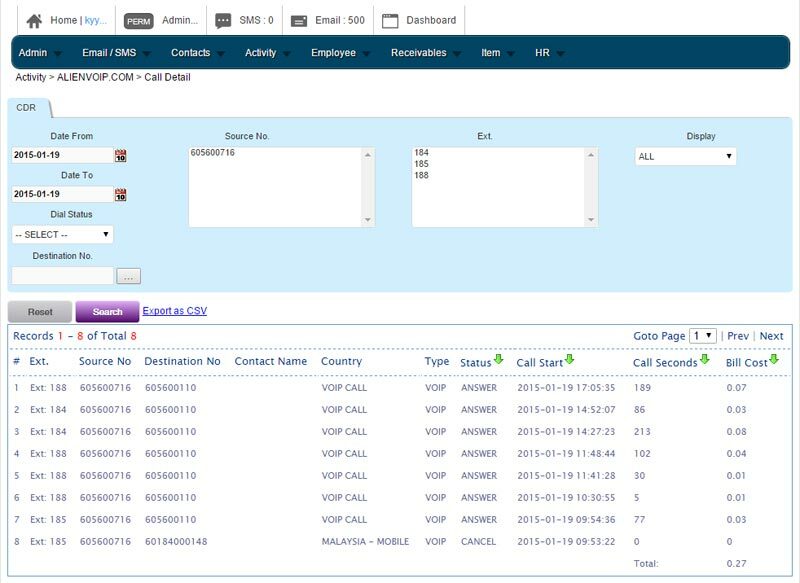 AlienVoIP Database will store the extension number, source number, destination number, contact name, country of incoming call, status, duration and bill cost records. iCRM Cloud Server will retrieve the recorded data from AlienVoIP Server. 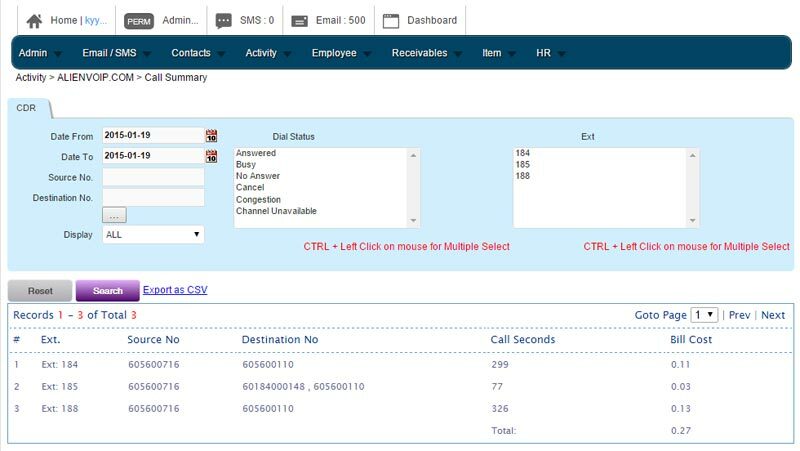 From Office A, the employee is able to view the data stored in the iCRM Server from his CRM System (PC).